Welcome to the website. mascotandcostumes.com provides its services to you subject to the notices, terms, and conditions set forth in this agreement (the “Agreement”). In addition, when you use any mascotandcostumes.com service (e.g., Customer Reviews), you will be subject to the rules, guidelines, policies, terms, and conditions applicable to such services, and they are incorporated into this Agreement by this reference. mascotandcostumes.com reserves the right to change this site and these terms and conditions at any time. You represent and warrant that you are at least 18 years old or visiting the Site under the supervision of a parent or guardian. Subject to the terms and conditions of this Agreement, mascotandcostumes.com hereby grants you a limited, revocable, non-transferable and non-exclusive license to access and use the Site by displaying it on your internet browser only for the purpose of shopping for personal items sold on the Site and not for any commercial use or use on behalf of any third party, except as explicitly permitted by mascotandcostumes.com in advance. Any breach of this Agreement shall result in the immediate revocation of the license granted in this paragraph without notice to you. Except as permitted in the paragraph above, you may not reproduce, distribute, display, sell, lease, transmit, create derivative works from, translate, modify, reverse-engineer, disassemble, decompile or otherwise exploit this Site or any portion of it unless expressly permitted by mascotandcostumes.com in writing. You may not make any commercial use of any of the information provided on the Site or make any use of the Site for the benefit of another business unless explicitly permitted by mascotandcostumes.com in advance. mascotandcostumes.com reserves the right to refuse service, terminate accounts, and/or cancel orders in its discretion, including, without limitation, if mascotandcostumes.com believes that customer conduct violates applicable law or is harmful to mascotandcostumes.com’s interests. You shall not upload to, distribute, or otherwise publish through this Site any Content, information, or other material that (a) violates or infringes the copyrights, patents, trademarks, service marks, trade secrets, or other proprietary rights of any person; (b) is libelous, threatening, defamatory, obscene, indecent, pornographic, or could give rise to any civil or criminal liability under U.S. or international law; or (c) includes any bugs, viruses, worms, trap doors, Trojan horses or other harmful code or properties. mascotandcostumes.com may assign you a password and account identification to enable you to access and use certain portions of this Site. Each time you use a password or identification, you will be deemed to be authorized to access and use the Site in a manner consistent with the terms and conditions of this Agreement, and mascotandcostumes.com has no obligation to investigate the authorization or source of any such access or use of the Site. You will be solely responsible for all access to and use of this site by anyone using the password and identification originally assigned to you whether or not such access to and use of this site is actually authorized by you, including without limitation, all communications and transmissions and all obligations (including, without limitation, financial obligations) incurred through such access or use. You are solely responsible for protecting the security and confidentiality of the password and identification assigned to you. You shall immediately notify mascotandcostumes.com of any unauthorized use of your password or identification or any other breach or threatened breach of this Site's security. Except as otherwise provided elsewhere in this Agreement or on the site, anything that you submit or post to the site and/or provide mascotandcostumes.com, including, without limitation, ideas, know-how, techniques, questions, reviews, comments, and suggestions (collectively, "Submissions") is and will be treated as non-confidential and nonproprietary, and by submitting or posting, you agree to irrevocably license the entry and all IP rights related thereto (excluding the moral rights such as authorship right) to mascotandcostumes.com without charge and mascotandcostumes.com shall have the royalty-free, worldwide, perpetual, irrevocable, and transferable right to use, copy, distribute, display, publish, perform, sell, lease, transmit, adapt, create derivative works from such Submissions by any means and in any form, and to translate, modify, reverse-engineer, disassemble, or decompile such Submissions. All Submissions shall automatically become the sole and exclusive property of mascotandcostumes.com and shall not be returned to you and you agree not to raise any dispute in connection with any use of the entry by mascotandcostumes.com in the future. You warrant that your Submissions, in whole or in part, are clear and free of any IP right infringement, disputes or third party claims. mascotandcostumes.com assumes no liability for any misuse of copyright or any other rights of third parties by you. You undertake to defense for and indemnify the Sponsor against any losses caused due to the use of the entries for any purposes. In addition to the rights applicable to any Submission, when you post comments or reviews to the site, you also grant mascotandcostumes.com the right to use the name that you submit with any review, comment, or other Content, if any, in connection with such review, comment, or other content. You represent and warrant that you own or otherwise control all of the rights to the reviews, comments, and other Content that you post on this site and that use of your reviews, comments, or other Content by mascotandcostumes.com will not infringe upon or violate the rights of any third party. You shall not use a false e-mail address, pretend to be someone other than yourself, or otherwise mislead mascotandcostumes.com or third parties as to the origin of any Submissions or Content. mascotandcostumes.com may, but shall not be obligated to remove or edit any Submissions (including comments or reviews) for any reason. All text, graphics, photographs or other images, button icons, audio clips, logos, slogans, trade names or word software and other contents on the website of mascotandcostumes.com (collectively, "Content"), belongs exclusively to mascotandcostumes.com or its appropriate content suppliers. You may not use, reproduce, copy, modify, transmit, display, publish, sell, license, publicly perform, distribute or commercially exploit any of the Content or otherwise dispose of any of the Content in a way not permitted by mascotandcostumes.com, without mascotandcostumes.com's express prior written consent. The use of data mining, robots, or similar data gathering and extraction tools on mascotandcostumes.com as well as the use of mascotandcostumes.com trademarks or service marks in meta-tags is strictly prohibited. You may view and use the Content only for your personal information and for shopping and ordering on the site and for no other purpose. If you happen to come across any of our content hosted on a third-party site, please do not hesitate to contact us at: saless@mascotandcostumes.com. The collection, arrangement, and assembly of all content on this site (the "Compilation") belong exclusively to mascotandcostumes.com. You may not use mascotandcostumes.com's Content or Compilation in any manner that disparages or discredits mascotandcostumes.com or in any way that is likely to cause confusion or violation of any applicable laws or regulations. All software used on this Site (the "Software") is the property of mascotandcostumes.com and/or its Software suppliers. The Content, the Compilation and the Software are all protected under state, national and international copyright laws. All rights not expressly granted are reserved by mascotandcostumes.com. Violators will be prosecuted to the full extent of the law. mascotandcostumes.com recognizes and respects all copyrights and trademarks. As such, any usage of television, motion picture, music, film festival or other names or titles have no connection to mascotandcostumes.com and are the sole property of the copyright or trademark holders. Our dresses are inspired by celebrity style and are our recreations of item’s worn by the celebrities on your favorite television shows and the red carpet, however they are not authorized, endorsed by, or connected to these shows in any way and are not meant as infringements of any registered trademarks or copyrights. In addition to any other legal or equitable remedies, mascotandcostumes.com may, without prior notice to you, immediately terminate the Agreement or revoke any or all of your rights granted under this Agreement. Upon any termination of this Agreement, you shall immediately cease all access to and use of the site and mascotandcostumes.com shall, in addition to any other legal or equitable remedies, immediately revoke all password(s), and account identification issued to you and deny your access to and use of this Site in whole or in part. Any termination of this Agreement shall not affect the respective rights and obligations (including without limitation, payment obligations) of the parties arising before the date of termination. EXCEPT AS OTHERWISE PROVIDED IN THE STANDARD TERMS OF SALE THAT GOVERN THE SAME OF EACH PRODUCT ON THIS SITE, THIS SITE, THE PRODUCTS OFFERED FOR SALE ON IT AND THE TRANSACTIONS CONDUCTED THROUGH IT ARE PROVIDED BY mascotandcostumes.com ON AN “AS IS” BASIS. mascotandcostumes.com MAKES NO PRESENTATIONS OR WARRANTIES OF ANY KIND, EXPRESS OR IMPLIED, AS TO THE OPERATION OF THE SITE OR THE INFORMATION, CONTENT, MATERIALS, OR PRODUCTS INCLUDED ON THIS SITE EXCEPT AS PROVIDED HERE TO THE FULL EXTENT PERMISSIBLE BY APPLICABLE LAW, mascotandcostumes.com DISCLAIMS ALL WARRANTIES, EXPRESS OR IMPLIED, INCLUDING, BUT NOT LIMITED TO, IMPLIED WARRANTIES OF MERCHANTABILITY AND FITNESS FOR A PARTICULAR PURPOSE, NONINFRINGEMENT, TITLE, QUIET ENJOYMENT, DATA ACCURACY, AND SYSTEM INTEGRATION. THIS SITE MAY INCLUDE INACCURACIES, MISTAKES OR TYPOGRAPHICAL ERRORS. 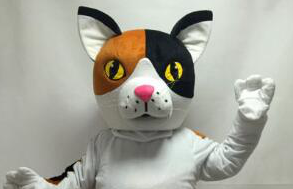 mascotandcostumes.com DOES NOT WARRANT THAT THE CONTENT WILL BE UNITERRUPTED OR ERROR FREE. TO THE MAXIMUM EXTENT PERMITTED BY LAW, mascotandcostumes.com WILL NOT BE LIABLE FOR ANY DAMAGES OF ANY KIND ARISING FROM THE USE OF THIS SITE, INCLUDING, BUT NOT LIMITED TO, INDIRECT INCIDENTAL, PUNITIVE, EXEMPLARY, SPECIAL, OR CONSEQUENTIAL DAMAGES. TO THE MAXIMUM EXTENT PERMITTED BY APPLICABLE LAW, mascotandcostumes.com’s TOTAL LIABILITY TO YOU FOR ANY DAMAGES (REGARDLESS OF THE FOUNDATION FOR THE ACTION) SHALL NOT EXCEED IN THE AGGREGATE THE AMOUNT OF FEES ACTUALLY PAID BY YOU TO mascotandcostumes.com DURING THE MONTH IMMEDIATELY PRECEDING THE ACT ALLEGEDLY GIVING RISE TO mascotandcostumes.com’s LIABILITY. Please note that there may be certain orders that we are unable to accept and must cancel. mascotandcostumes.com reserves the right, at sole discretion, to refuse or cancel any order for any reason. Some situations that may result in your order being canceled include limitations on quantities available for purchase, inaccuracies or errors in product or pricing information, or problems identified by our credit and fraud avoidance department. We may also require additional verifications or information before accepting any order. We will contact you if all or any portion of your order is canceled or if additional information is required to accept your order. Title to the products in your order will be transferred to you when the products leave our warehouse and are delivered to the carrier for shipment to an address designated by you in the order. All liabilities and risks to the products will also be transferred to you at that time. 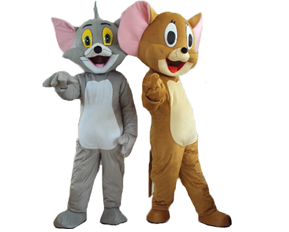 By placing an order on this Site, you authorize mascotandcostumes.com to engage third party shipping services on your behalf. If you reside in a country within the European Union, these terms are an agreement between you and mascotandcostumes (UK) LIMITED. Under this agreement, goods and/or services will be delivered via mascotandcostumes as an agent mascotandcostumes.com depending on the type of payment method used for the purchase of the goods and/or services. If you reside in any other country, then these terms are an agreement between you and mascotandcostumes.com and goods and/or services will be delivered by mascotandcostumes.com directly. While mascotandcostumes.com strives to provide accurate product and pricing information, pricing or typographical errors may occur. mascotandcostumes.com cannot confirm the price of an item until after you order. In the event that an item is listed at an incorrect price or with incorrect information due to an error in pricing or product information, mascotandcostumes.com shall have the right, at our sole discretion, to refuse or cancel any orders placed for that item. In the event that an item is mis-priced, mascotandcostumes.com may, at our discretion, either contact you for instructions or cancel your order and notify you of such cancellation. Pricing of products sold by mascotandcostumes.com is based upon figures calculated in U.S. Dollars (US$). Prices displayed in other currencies are converted from U.S. Dollars according to the most up to date conversion rates. Due to fluctuating currency values, prices displayed in non-U.S. denominations of currency on the Site, other than on the individual product page, may not be the most current. Areas of the Site where non-U.S. denominations of currency might be inaccurate include, but are not limited to, promotional banners, promotional pages, and information on product category pages. The price displayed on an individual product page, regardless of currency denomination, is the current price you are liable to pay to mascotandcostumes.com, excluding shipping. This site may contain links to other sites on the Internet that are owned and operated by third parties. You acknowledge that mascotandcostumes.com is not responsible for the operation of or content located on or through any such site. You agree that mascotandcostumes.com's remedy at law for any actual or threatened breach of this Agreement would be inadequate and that mascotandcostumes.com shall be entitled to specific performance or injunctive relief, or both, in addition to any damages that mascotandcostumes.com may be legally entitled to recover, together with reasonable expenses of any form of dispute resolution, including, without limitation, attorneys' fees. No right or remedy of mascotandcostumes.com shall be exclusive of any other, whether at law or in equity, including, without limitation, damages injunctive relief, attorneys' fees and expenses. No instance of waiver by mascotandcostumes.com of its rights or remedies under these terms and conditions shall imply any obligation to grant any similar, future or other waiver.